Battery Importer supplies Alkaline batteries, Zinc Chloride batteries, Silver Oxide batteries, Lithium batteries, Hearing Aid batteries, Ni-MH batteries in AA batteries, AAA batteries, AAAA batteries, 9Volt batteries, C batteries, D batteries, 6Volt batteries, Lithium batteries, Coin batteries, Button batteries, Hearing Aid batteries, and Photo camera batteries, in bulk or carded styles, ISO9001/9002 quality standards are used. 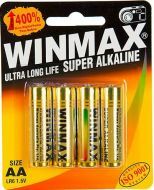 An AA battery, also called a double A battery is a standard size single cell cylindrical dry battery and are very common in portable electronic devices. 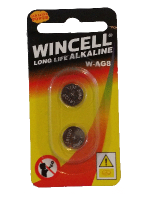 An AAA battery, also called a triple A battery is a standard size of dry cell battery and are commonly used in low drain portable electronic devices. An C battery, also called a R14 battery is a standard size of cell and are typically used in medium-drain applications such as toys and musical instruments. An D battery, also called a R20 battery is a standard size of cell and are typically used in high current drain applications, such as in large flashlights, radio receivers and transmitters. An Button, Coin or Watch battery, also called a button cell is a small single cell battery shaped as a squat cylinder typically 5 to 25mm in diameter and 1 to 6mm high, like a button on a garment, hence the name.